Dan Akroyd gets our boys and girls good and drunk in Afghanistan. RIM hires QE II for quality assurance. 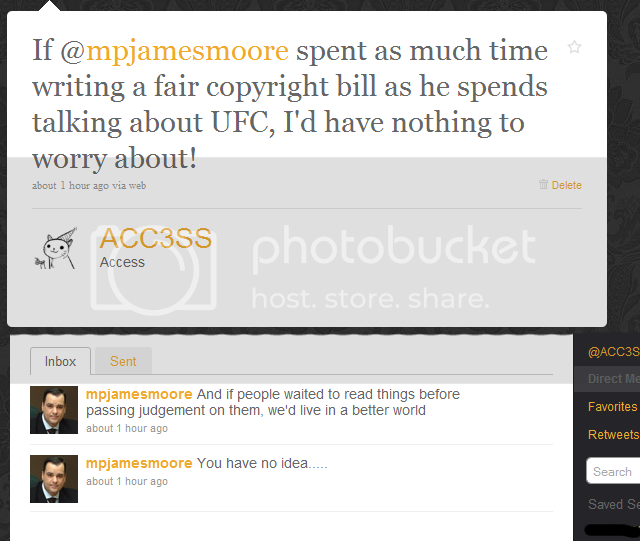 Bryan Adams jams with the PM, and something about copyright. Google’s new box, video codec and pending lawsuits. isoHunt down but not out. Unreleased hacker doc is leaked there. Get it here! At the multiplex: McGruber? Really? On TeeVee: Winners and losers for the upcoming fall season. Thanks to Belleau Woods for the pingback, John Meadows for the comment & Steve Czajka for the chat. The Sessions from Vancouver with their track “Say Goodbye Adrianne” — part of the Thorny Bleeder Records sampler brought to you by the Pirate Party of Canada. Fair dealing but a tax on your BlackBerry? Screw you and your twenty-five bucks. TV viewers use Internet too — at the same time!!1! Ottawa is Oscar-worthy — Oscar Peterson, that is. Margaret Atwood joins cast of Canada’s Ishtar. Google makes Nexus One available to Canada. Public Mobile launches network for the working man (and woman). Can location-based services get any hotter? Any stupider? Any better? World’s best mobile browser widens its lead with two new versions. Everything Everything – My Keys, Your Boyfriend. Can this onion ring get more fans than Stephen Harper? Yes, yes it can. CRTC makes a rare acknowledgment of rural Canada. James Cameroon — wait, Cameron — hints at Avatar 2: Electric Bugaloo. Canada pwns US&A in digital music sales. Martha and the Muffins are back and we don’t care. Nelly Furtado scores a role in skating musical that nobody asked for. Details from secret ACTA meetings start to trickle out. Obama BELIEVES in Net Neturality – YES WE MIGHT! Australian Courts take ISPs off the hook for digital transgressions. Rogers courts Olympic visitors with cheap SIM cards. DAVE’s not here, man — try Mobilicity. Satellite Radio coming to a BlackBerry near you. Nokia’s Symbian mobile OS goes open-source. Anth – The Public Domain Manifesto.